Lore Christopher was identified in BOLI harassment investigation as an official who failed to react to complaints. 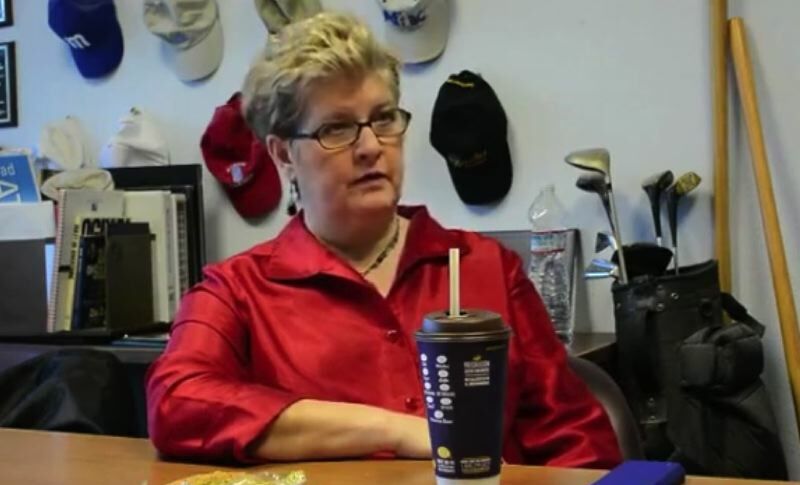 SALEM — The Legislature's top personnel executive, embroiled in the sexual harassment controversy at the Capitol, has retired but will draw more than $12,000 a month until September to work from home. Lore Christopher, 64, negotiated a retirement agreement last fall in which she agreed to step down as director of human resources at the Legislature. She formally retired Jan. 1. She remained acting director until her replacement started March 11. Christopher declined an interview and didn't respond to most written questions from a reporter about her departure. As human resources director, Christopher was a key contact for people reporting harassment or other workplace problems at the Capitol. She was identified in a state investigation of harassment at the Capitol as one of the officials who failed to react fully to complaints. The state Bureau of Labor and Industries reported that in at least one instance Christopher advised an employee complaining of harassment to stay mum. The harassment investigation disrupted the early days of the 2019 Legislature, capped with legislative leaders agreeing to pay $1 million to nine people who asserted they had been harassed at the Capitol. As part of the settlement, legislative leaders agreed to shift responsibility for harassment claims away from Christopher's office to a new office. Jessica Knieling, previously the deputy human resources officer for the state Department of Administrative Services, joined the Legislature as its interim director of human resources March 11. Christopher's departure and Knieling's employment were announced to legislative employees in a March 7 email, but no public statement was issued about the change. 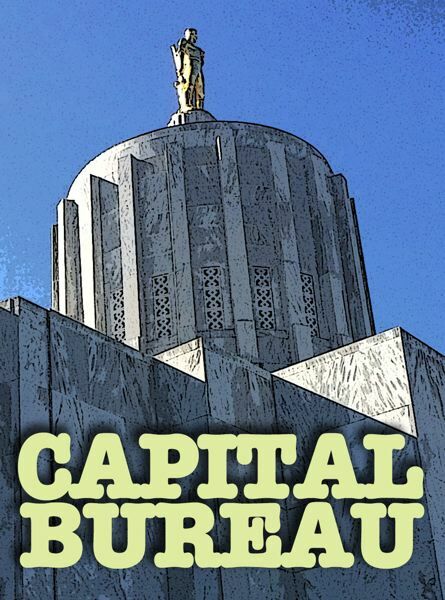 Terms of Christopher's retirement were outlined in a four-page agreement obtained this week by the Oregon Capital Bureau. She signed the deal on Sept. 11, 2018. The contract said that she would retire by year's end but continue as the acting director until a replacement was hired. She was tasked with what were described as special projects, including a pay study of seven legislative jobs, implementing new pay equity standards for legislative employees, and providing help with two pending lawsuits against the Legislature. Christopher also agreed not to sue the state for age discrimination, a provision neither Christopher nor legislative leaders would explain. The agreement said she would be paid $12,116 a month — her pay rate as human resources director — through August for a total of $96,928 in 2019. Nearly a month after agreeing to retire, Christopher shared the news with certain legislative offices and officials, including top economists and political staff. "It has been a pleasure to work with you for more than 22 years as human resources director and it's hard to believe that many years have gone by. I'm honored to have spent them with you," she wrote in an Oct. 5 email. Her retirement deal was struck one month after then-Labor Commissioner Brad Avakian filed his complaint against legislative officials that included references to conduct by Christopher. The commissioner's complaint centered on the Legislature's handling of harassment allegations by colleagues and two interns against former state Sen. Jeff Kruse, a Roseburg Republican who resigned in March 2018. It also cited other allegations of harassment in the Capitol, including from two unidentified employees, including one Avakian identified only as Employee A.
Audrey Mechling, a former staffer in the House, later publicly identified herself as that worker. She received a part of the settlement announced March 5. Mechling had reported harassment by an intern in 2015. Ed Harnden, an attorney representing the Legislature, wrote to state investigators last year that Christopher at the time had investigated Mechling's claims with results that were "inconclusive." Harnden said that Christopher recommended that Mechling and the intern not discuss the claims. "This was not a directive or a requirement to remain silent, nor was it for any nefarious purpose," Harnden wrote. Avakian said in his complaint that Christopher had told Mechling that she "would be informed if the alleged harasser were ever hired in the Capitol again." But that didn't happen, Mechling said in an interview with the Oregon Capital Bureau. Two years after her complaint, she learned the intern was back in the Capitol. She asked Christopher about the situation. "She said, 'No, I had no idea,'" Mechling said, "Which really confused me, how the head of HR didn't know that he was working in the building, that that was news to her." Mechling learned through findings issued by the Bureau of Labor in January that the intern's employers at the Capitol hadn't been told of her earlier complaint. The Bureau of Labor claimed sharing that information was required by the Legislature's personnel rules. In its findings, the bureau quoted from a document Christopher provided to the subject of Mechling's complaint. "When I read that in the BOLI findings, I called in sick from work, I called in sick from classes, and just spent the day crying," Mechling said. "I had already known that the system had failed me so many times, but I hadn't realized that they hadn't even lived up to their basic legal requirements of sharing that document that Lore Christopher had promised me was going to be shared." Another anonymous employee cited in the complaint, Employee B, had reported that Senate President Peter Courtney's communications director offered to buy her a beer at an event, standing so close his body was touching hers. She declined and moved across the bar, but he followed and "repeated the same unwelcome conduct," according to the complaint. He later sent her lyrics to a popular song that she considered lewd, the complaint said. She reported the conduct to Courtney's chief of staff and Dexter Johnson, the legislative counsel, fearing that the conduct could "escalate," according to the labor bureau complaint. The director, Robin Maxey, resigned in January, after the Labor Bureau issued its findings. He noted in his resignation letter that the labor bureau's findings included hearsay but he didn't elaborate. The bureau in its January findings cited notes about the complaint that it said appeared to be written by Christopher. The notes indicated Christopher advised the complaining employee to tell three senators — although it is unclear from the report why — "that the concern was being addressed and no further conversation between them or others regarding the concern should take place." The labor bureau said it found evidence that "people do not feel comfortable going to human resources," referring to Christopher's office. Two women who had worked for Kruse as interns, Anne Montgomery and Adrianna Martin-Wyatt, last month sued Christopher and other top officials. Their case is to be dismissed as part of the settlement with the Legislature announced earlier this month. Montgomery and Martin-Wyatt had alleged that Kruse's misconduct was well known and that Christopher and others failed to protect women from his harassment. "Senior leaders and their advisers charged with protecting the Capitol work environment failed to prevent or remedy Kruse's conduct despite it being well-known for years, and despite the foreseeability of what happened to the plaintiffs," according to the lawsuit. They claimed that Christopher could have done more to prevent harassment by Kruse, such as not placing interns in his office, adjusting desk and seating assignments, and "engaging in earlier and more thorough investigations into the systemic nature of Kruse's harassing and sexual misconduct." Gail Stevens, an attorney who worked in the Office of Legislative Counsel, sued Courtney and House Speaker Tina Kotek last month, alleging they "participated in and ratified unlawful action" against Stevens after she reported misconduct and gender discrimination. In her suit, Stevens claimed that Christopher failed to keep Stevens' reports of misconduct and gender discrimination confidential. "Christopher did not take steps to protect plaintiff, investigate her reports or keep them confidential," according to Stevens' lawsuit. "When it came to harassment or retaliation reports, Christopher acted under the legal direction of Dexter Johnson, (DOJ Attorney) Tessa Sugahara or both when it came to substantive actions or decisions," Stevens wrote in an email. State Sen. Sara Gelser, D-Corvallis, said she found Christopher "very professional" and kind when she reported to Christopher's office that she was being harassed by Kruse. "I know other people have had concerns with interactions with Lore Christopher," Gelser said. "She was responsive to me. I don't have a direct complaint about her." Gelser later wrote in an email that she wanted to be clear that she was speaking about her own experience. "It is not intended to undermine or question the nature of experiences that others have had with their complaints," Gelser wrote. "Whatever my own experience, I believe women when they speak about their experiences." Christopher was hired in 1997 as the Legislature's first time full-time human resources director. In 2010, the magazine of the National Conference of State Legislatures interviewed Christopher, quoting her as finding a mess in the human resources operation when she joined the Legislature. "The first thing I said to them was, 'This will get us sued,' " the magazine quoted Christopher as saying. Christopher essentially ran human resources for the entire legislative branch, which includes nonpartisan policy offices such as the Legislative Fiscal Office. While working for the state, Christopher also served 14 years as mayor of Keizer. Now, according to the retirement agreement, Christopher will serve as "HR special projects coordinator." Christopher reported to Daron Hill, the Legislature's chief administrative officer. The Legislature's administrative function is under the jurisdiction of the Legislative Administration Committee, jointly chaired by Courtney and Kotek. Courtney and Kotek declined interviews and didn't respond to questions about the circumstances of Christopher's departure, referring them to Hill. "Recognizing that the Human Resources Department has a significant work to complete over the next year and as we onboard a new HR director, we require continuing support on specific projects as we work through this legislative session," Hill wrote in an email. Reporter Claire Withycombe: cwithycombe@eomediagroup.com or 503-385-4903. Withycombe is a reporter for the East Oregonian working for the Oregon Capital Bureau, a collabaration of EO Media Group, Pamplin Media Group, and Salem Reporter.